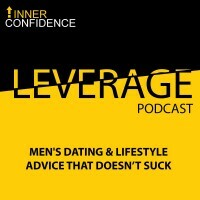 Having to struggle and not having an easy start in the dating game ends up paying itself back in the long run because you have to develop way better game. You need to have an actual true friendship with a girl to make her your wingwoman. Hang out with her, grab some coffee, and see how she is doing. The hottest girls don’t really go to normal bars and do the same things like regular people, so it’s difficult to get to them. Once you get in front of them you need to be unapologetic about who you are. You have to be more dynamic and fun. The higher quality the girl, the more game you need.